Newmont Mining has completed its $US245 million ($346 million) Tanami power project in the Northern Territory on schedule, coinciding with the mine pouring its 10 millionth ounce of gold. 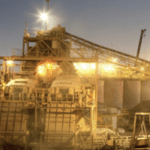 The power project is expected to provide the Tanami gold mine with a safe and reliable energy source that lowers power costs and carbon emissions by 20 per cent. 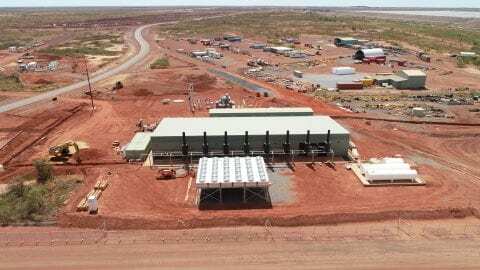 It involved the installation of two power stations, a 66 kilovolt interconnected power line and the NT Government’s approval to operate a 450-kilometre gas pipeline in February this year. Australian Gas Infrastructure Group (AGIG) built and will maintain the pipeline, while Zenith Energy was in charge of constructing and will operate the power stations. 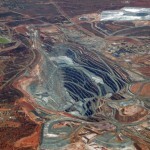 “In addition to lowering costs and carbon emissions, the completed Tanami power project will pave the way to further extend the life of the operation,” Newmont chief executive Gary Goldberg said. The Tanami power project is expected to generate net cash savings of $US34 per ounce from 2019 to 2023, delivering an estimated profitability, or an internal rate of return, of over 50 per cent. Newmont’s exploration success at Tanami may also extend its mine life beyond 2028, with the company considering a second expansion project. Newmont’s first expansion of Tanami in 2017 has increased mine capacity by 80,000 ounces a year. 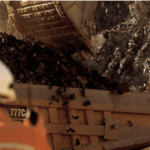 The gold miner, which has set its 2019 guidance at Tanami at 495,000 ounces, will make a full funding decision on the proposed expansion in the second half of the year.